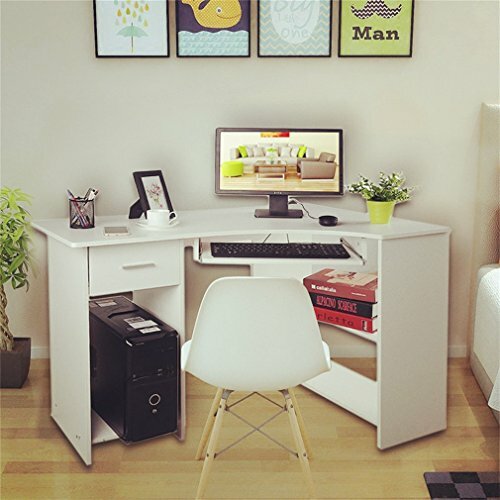 If you have a company, for example, then the corner desks will allow you to arrange multiple desks and chairs and to organize them really well in order to fit as many as possible in a small room, while the same corner desks can help you if you have built a small office in your home and you wish to have enough space left to move in and to make the room bright and spacious. And also, all these products come in new, innovative and very modern designs, which will definitely add a shade of color and some style to your office's personality! So don't hesitate to make this choice in order to fully use the potential of your office space - start navigating right now on our website and find what best fits your office vision! Also, check out our list of best desks for small spaces as well.